My personal theme for the year is to Be Curious & Be Brave. I’m not big on setting new years resolutions and goals. They don’t inspire me – AT ALL. What does inspire me is the idea of challenging myself to be more authentic, passionate, generous, forgiving, thoughtful, open, and courageous every day. 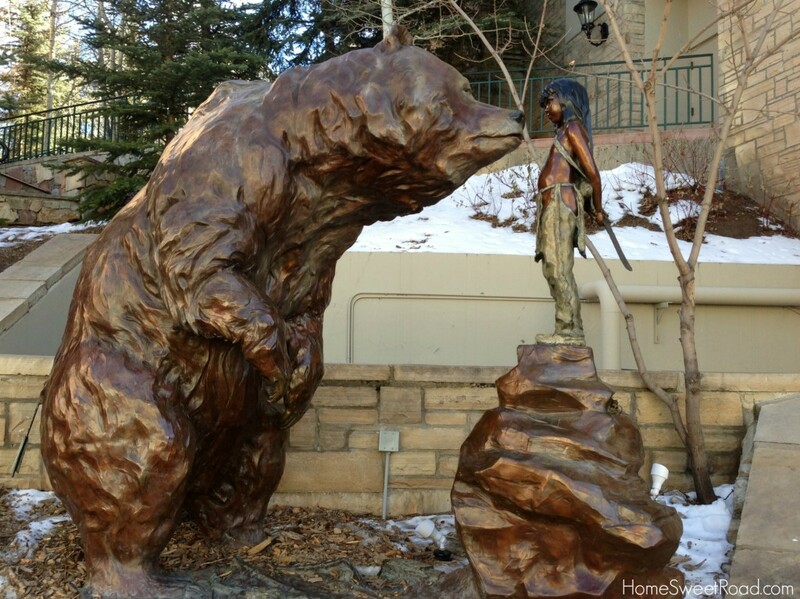 When we were in Beaver Creek Colorado, I saw this statue and was immediately captivated by it. I just stood there staring at it for the longest time. I love how the child doesn’t shrink back in fear while the bear comes close. Both curious, both brave. Obviously this doesn’t translate in the literal sense, but I can think of a handful of “bears” in my life that I have shied away from simply due to some form of fear. Sometimes the first step in overcoming fear is to stop making excuses for it and see it for the ugly, suffocating parasite that it is. If we live in fear long enough it becomes so normative that we don’t even question it anymore. If everyone else we know lives that same way than it’s not even seen as a problem – it’s just REALITY. I’m not cool with that kind of reality. My dream is that my kids would be WILD and FREE. WISE and BOLD. GENTLE and STRONG. Precious little ones that refuse to measure their journey against anyone else’s or become paralyzed by the fear of failure or what others will think of them. If I want my kids to be all of those things that means I have to be moving in that direction myself first. This year I want to cultivate a Courageous Curiosity to dig deeper and see the beauty and potential that lies beneath the surface. I want to see past the obvious and peer into the veiled space not immediately apparent without careful examination. A treasure hunter! So I’m checking my fear and preconceived ideas at the door and stepping into this year with open hands and an open heart. Here’s to being Curious and Brave in 2014! I can think of ‘bears’ in my own life too that could use some facing! thanks for the inspiration.